Beverly's Official Blog | News and findings from world of crafts, scrapbooking and more: Frightful Finds for Halloween! The days are getting shorter, and fall is definitely in the air! With that, it's time to start thinking about Halloween. Besides Christmas, this is my favorite holiday! I love the costumes, the colors, and the memories from childhood that October 31st always conjures up. There are a few trends this year that are definitely on my list to try. With the Steampunk style so hot this year, it was a natural fit for some of that Victorian Gothic flavor to show up in Halloween decor. I'm reminded of a haunted mansion and days of forgotten elegance. Potion bottles, tattered lace, vintage glitter, candelabras, apothecary jars, and a color scheme of black, white, crimson and tarnished silver. It's easy to incorporate these elements into your home decor this season, adding an ethereal elegance with a bit of edginess. For a quirkier feel this year, how about eyeballs? They've been seen in trees, masquerading as bats, and even as fun, knitted softies for the kids! This trend keeps Halloween fun and bright, with a bit of whimsy that is fresh and new. Eyeballs offer a great Halloween option without the scare factor. There are a lot of fun costume options this year as well. From Smurfs, to Lady Gaga to an iPhone, the possibilities are endless. I found some great how-to's that are easy to do. And if you're short on time, throw on a crazy hat and dare anyone to say that you aren't "dressed up!" 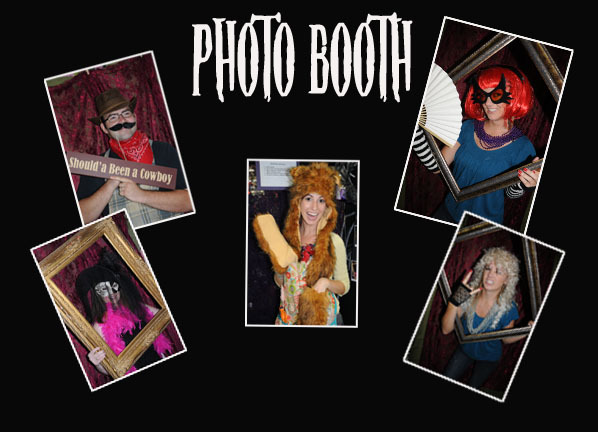 At this year's party, there will definitely be a photo booth! These are popping up at events across the country, from weddings to birthday parties, but what better time to play dress up than Halloween. Create a photo booth corner and stock it with wigs, masks, crazy glasses, wacky hats, feather boas and "costumes-on-a-stick." Include a big, empty picture frame as a fun prop, and your guests will have fun all evening! And, last but not least, don't forget the four-legged members of your household. A few pieces of felt, some tulle, and a little bit of glue are all it takes to create a fun look for your furry friends this year! Halloween is my favorite holiday. I dressed my 2 dogs up as boxers last year for Halloween. We made boxing shorts out of mens boxers and made little boxing gloves and put them around their front paws. Whiskey was Manny Pacquiao and Max was Floyd Mayweather. They were a big hit.